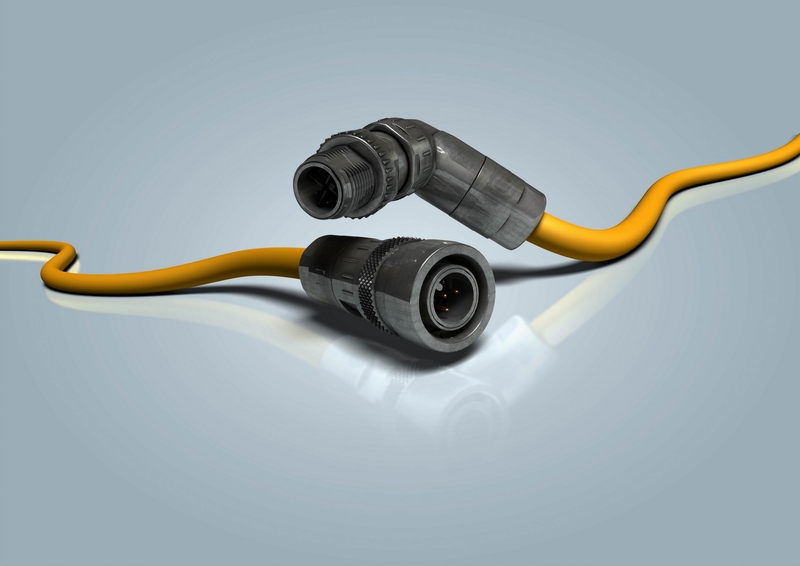 Following the trend of miniaturisation, HARTING is expanding its M12 family in the field of slim design connectors with HARAX® insulation displacement Quick Connect connectors – the slim, field-installable solution for automation technology. This allows fast and uncomplicated cabling on site. The new A and D-coded, 4-pole M12 Slim Design connectors with HARAX® Quick Connect are just what’s needed in the field of automation technology wherever a cable has to be attached or adapted quickly and easily. The connectors can be assembled quickly and without special tools. In addition, the new versions also offer the option of tool-free installation thanks to the PushPull locking system, which is offered as an alternative to the conventional screw locking system. As a result, installation is as easy as “click and done”! HARAX® connection technology and PushPull locking are incorporated into the slim and durable Slim Design housing which is already well-known for its crimp design. The compact and robust housing allows for high integration density on corresponding devices and withstands torques up to 1.5 Nm. It also features IP65/67 protection and is designed for harsh ambient temperatures of -40 to + 85° C. The integrated 360° shield concept of the Slim Design series provides robust protection against EMC influences and allows interference-free transmission. It saves space, resists all environmental influences and offers performance that is unrivalled: just perfect for any and all assembly in the field.